Kyrgyzstan is actually a phenomenal place for photography. I knew that going in to my trip. From everything I’d seen and imagined about the central Asian country it was going to be a fun place to shoot. It’s wild, it’s open, there’s a nice mix of nature and culture, and it just looked like there was going to be interesting things to photograph every day. 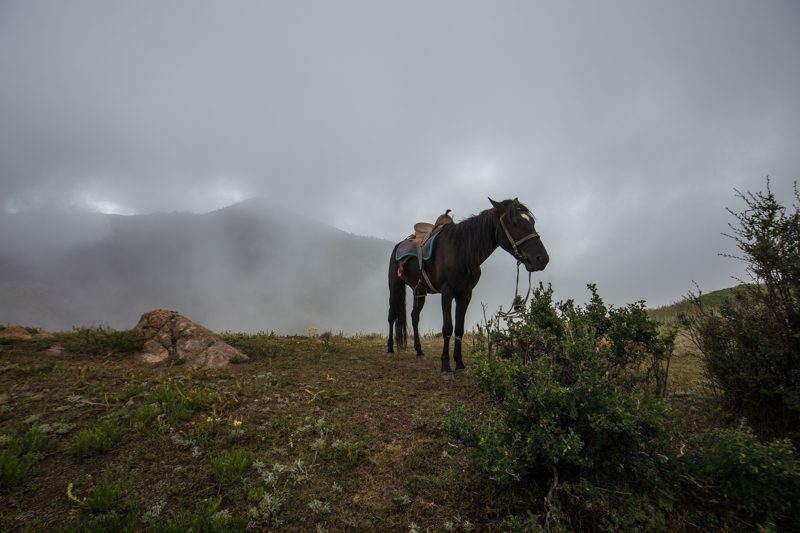 But, for everything I thought my trip to Kyrgyzstan was going to be, I didn’t really have any idea what sort of camera gear I would shoot, or what exactly I would shoot. So, I kind of just packed everything and prepared for it all. For Kyrgyzstan, I packed the following camera gear. I’ll also talk a bit about what gear I used the most next to each piece of equipment. Canon 6D – My main camera body. Sony a6300 – My vlogging camera. I also shot more photos on it than I normally do. GoPro Hero 5 – Used this a lot for time lapse and action stuff. DJI Phantom 4 Drone – I flew the drone almost daily. Canon 16-35mm lens f/4 – I shot this lens the most. It was handy for landscapes and for wide-angle portraits. Canon 50mm f/1/4 – Honestly, I don’t think I took a single photo on my 50mm the entire trip. Canon 70-200mm f/2.8 – I used this lens a lot too. Especially for capturing details of the landscapes and for the sporting events like Kok-Boru. Rokinon 14mm f/2.8 – I only used this lens for star photography. That said, I used it a lot. 3 Legged Thing Albert – My tripod got a lot of use. Joby Gorilla Pod – I used this more than I expect too. Filter system – If you’re shooting landscapes, you’re going to want your filters. Especially a 6-stop ND and a 3-stop medium grad ND. Extra Batteries – Since there’s times you will be out shooting in wild places, you’re going to want lots of batteries. A Powerbank – Came in so handy in charging my GoPro, Sony batteries, and phone. One of the things that’s really great about photography in Kyrgyzstan is that there’s a pretty wild variety of things to take pictures of. Sure, it might be best known for it’s landscapes and nature, but it’s also full of interesting characters, there’s some wildlife, and the cities that I saw were also quite photogenic. I wanted to kind of break down the types of photos you might have the chance to shoot in Kyrgyzstan, and maybe clear some things up and cut some expectations down. 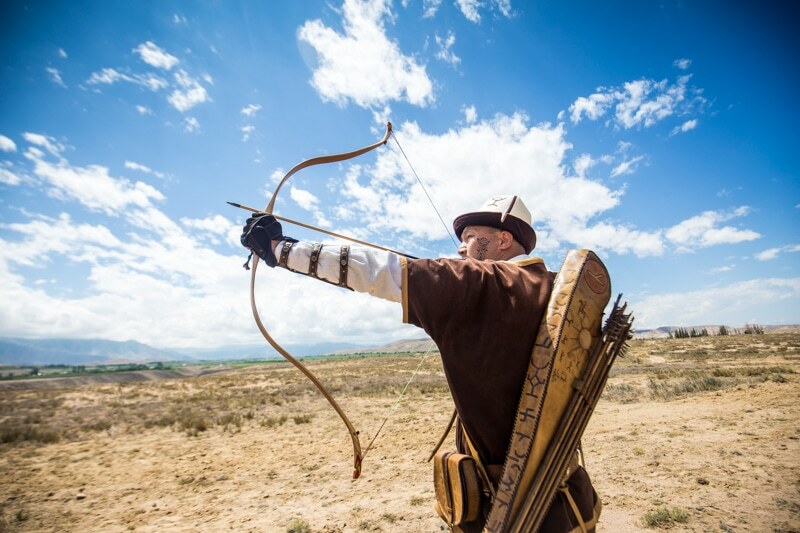 Based on a lot of photos you see from Kyrgyzstan, you might think that you’re going to go around the country and see men wearing archery outfits and everyone else dressed like nomads. That’s just not the case. For the most part, people in Kyrgyzstan tend to dress quite western, and in a lot of cases in more of a traditional/modern Muslim manner. Finding people dressed in traditional outfits is a bit of a struggle. If you want to find people for portraits dressed this way you’ll have to seek out nomad camps and get off the beaten path. Another option is to try to get to one of the nomad games that happen around the country. Here, people will be dressed traditionally and they are very open to being photographed. 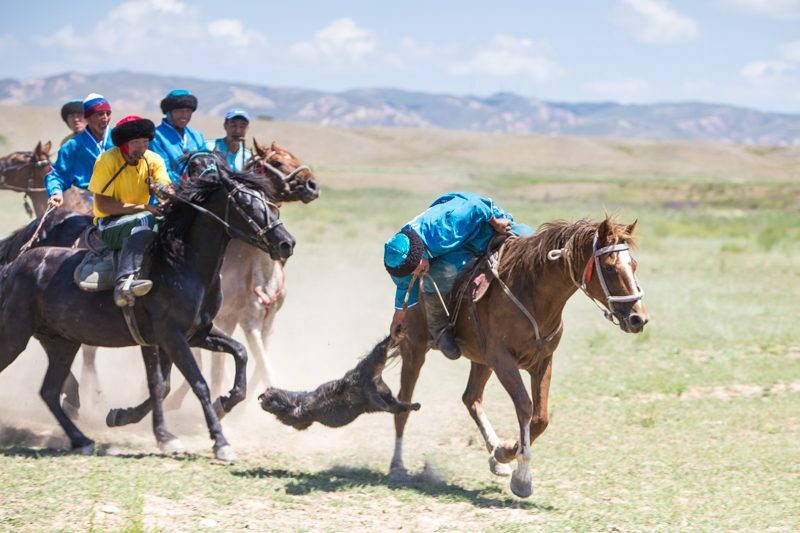 Sport is a very important part of traditional Kyrgyz life. And, it’s a brilliant photography subject in Kyrgyzstan. 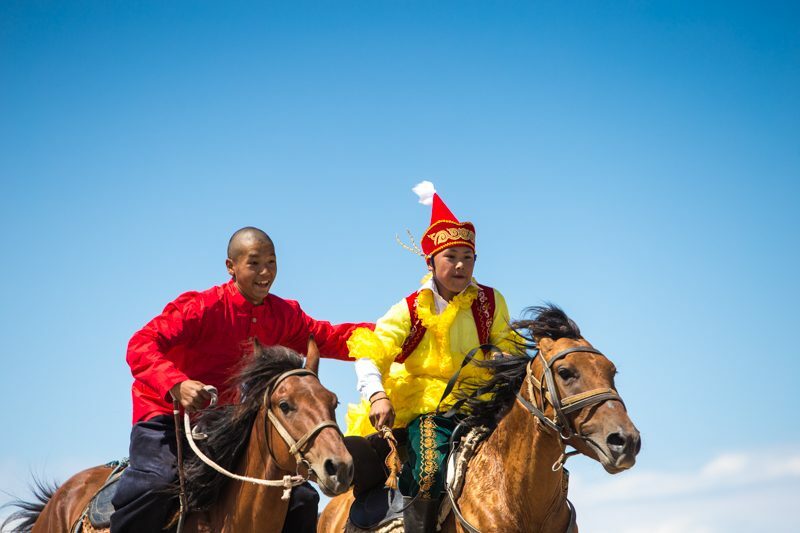 Again, try to plan your trip to the country around one of the nomad games, they are a great place to photograph these traditional sports like Eagle Hunting, Archery, or Kok-Boru (known to some as dead goat football or polo). I think Kyrgyzstan is underrated for street photography. However, I didn’t really shoot all too much of it either because my itinerary was really focused on hiking and the outdoors. But, markets in Bishkek and Osh are awesome for street scenes. Also, some of the smaller villages have lots of great opportunities. 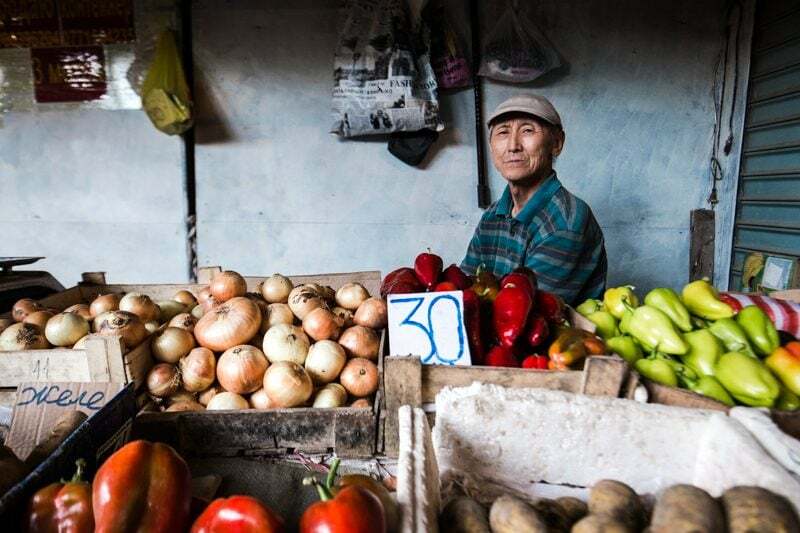 And, aside from Osh Market in Bishkek in which people really didn’t want to be photographed, most people in Kyrgyzstan were pretty open to being photographed. 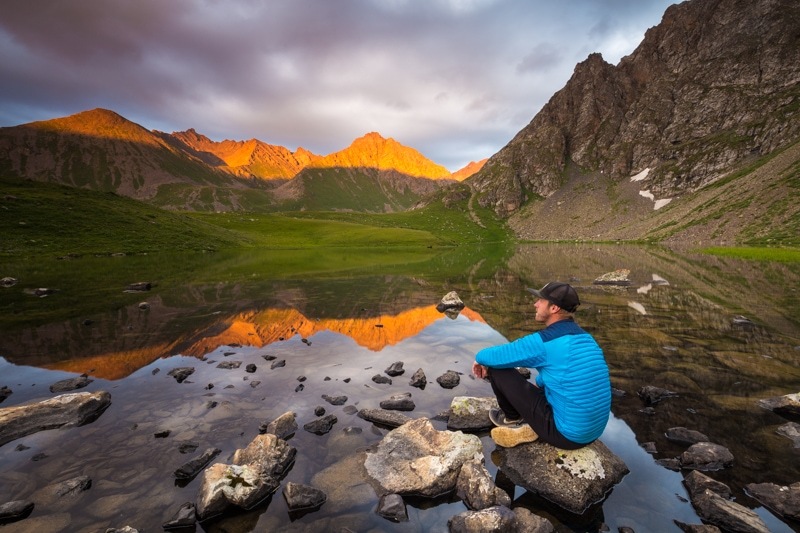 Obviously, Kyrgyzstan is known best for its beautiful mountains, gorges, and wide open spaces. The reality of the country is that the landscapes are even more prevalent than you might think. Basically anywhere you look, from anywhere i went in the country you can see mountain vistas. I don’t think you’d even have to get far out of Bishkek before you could feel world’s away and deep within the natural world. I did a lot of hiking around Karakol, and this seems like the most popular region in the country to get into the landscapes. I was particularly impressed with the Jerghez and Ak-Suu Valleys. So, if you’re looking for photo expedition, those are great places to go. 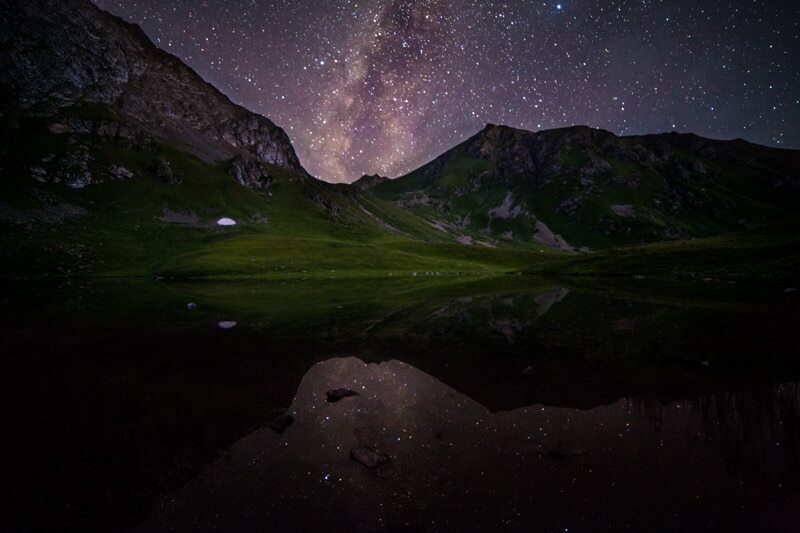 I think I could have shot night sky photography every one of the nights I went out hiking in Kyrgyzstan. But with early sunrises and late sunsets, I had to pick my battles. There are, however, ample opportunities to photograph the night sky. In fact, it might have some of the most clear night skies I’ve ever seen. It was stunning. Basically anywhere outside of Bishkek is dark sky, so you don’t really have to get too far away to find the starts. There are good hikes around Jyrgalan that have some lakes and lagoons that are great spots of night shots. I knew nothing about the cities of Kyrgyzstan before visiting. But, I was so pleasantly surprised by Bishkek. It was actually a really photogenic location. And, I really only scratched the surface of it. Lots of cool architecture, some fun cafes, and big open parks. It was such a fun place to spend a night shooting. 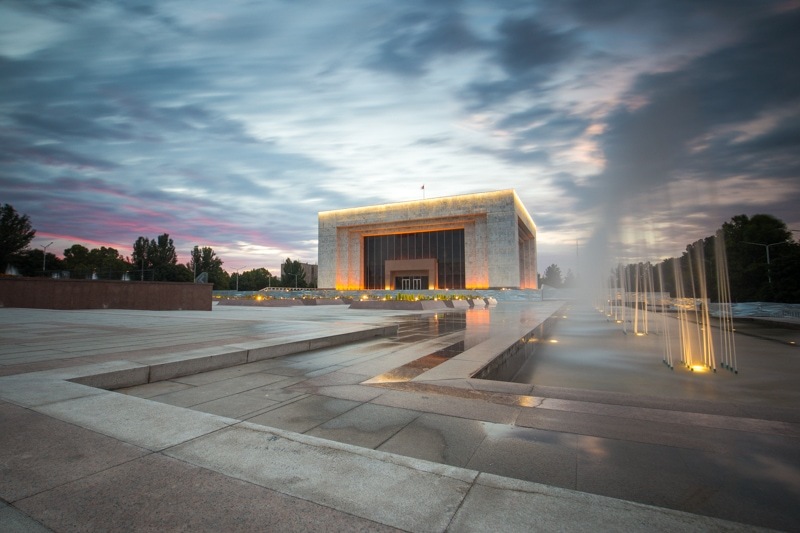 I didn’t spend any time in Osh, but that would likely be the next best city to shoot. Although, from what I’ve heard it’s better for street photography than it is architecture. There is lots of wildlife in Kyrgyzstan. Through the country there are wolves, rabbits, and even snow leopards high in the mountains. However, it’s extremely hard to spot any of the mammals. The only thing we really saw were marmots. There are loads of eagle sightings, however. I didn’t photograph any of the wildlife, but I imagine a wildlife enthusiast could find some cool opportunities. 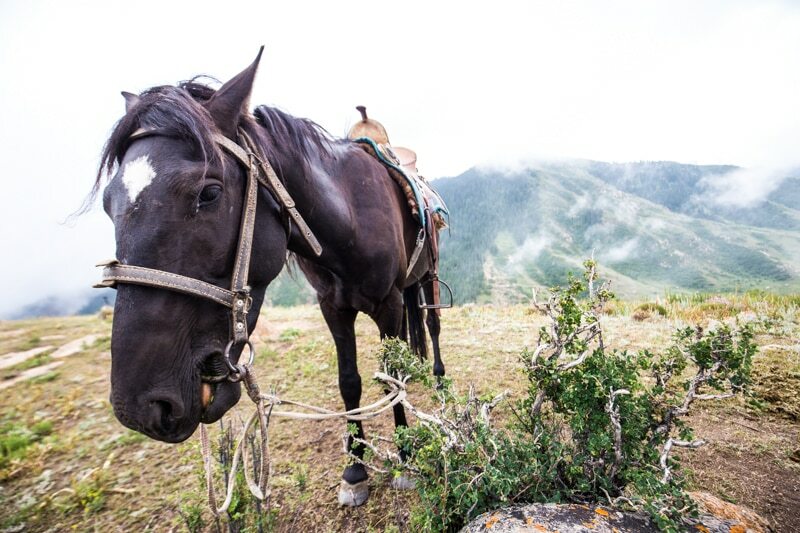 Kyrgyzstan was one of the safest places I’ve ever travelled in terms of gear. Never once did I ever feel even the slightest bit concerned about my camera gear. I had lots of big camera gear out at all times, and people would often give curious looks, but nothing beyond that. If you have a drone, bring it! 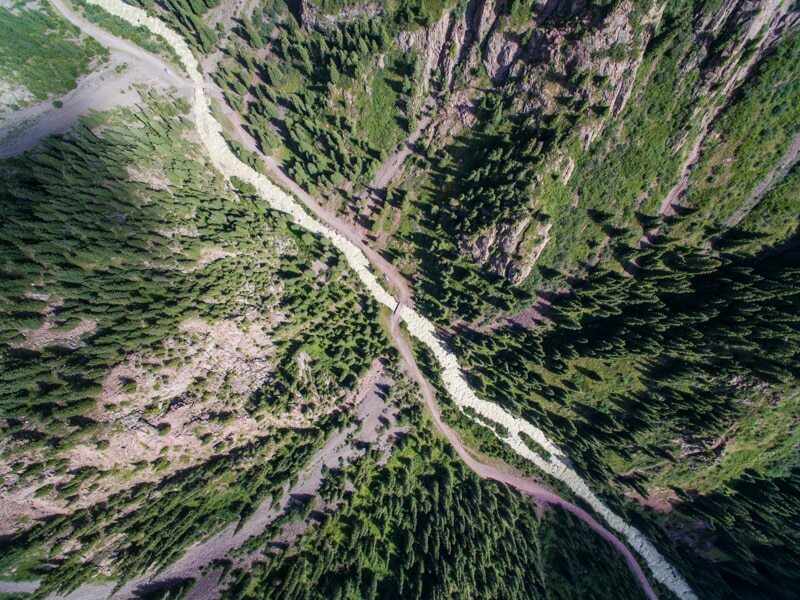 There are so many opportunities for drone photography in Kyrgyzstan and the laws are very open to you using one. There are few countries in the world better for a drone. At minimum, you want a week in Kyrgyzstan. That’ll give you enough time to get a little bit of everything. I spent 2 weeks in the country, and a lot of that was doing similar things in different places. I think I could have squeezed my 2 weeks into a week. That said, I only spent time along Issyk-Kul Lake, Karakol, and Jyrgalan. I hardly scratched the surface. If you want to see the whole country, you’ll need 3 weeks a minimum. I still have one article left fro Kyrygzstan. I’m going to talk a little bit about my experience as a whole. And also discuss how I found the assignment in the country. I know so many of you are interested in the business side of things, so I’ll discuss that a bit. I’ve also got more content from Scotland and England. And, eventually I’ll be making my way back to Canada which should be really cool. Of course, you can stay up to date with it all on my daily travel vlog. This trip was made possible by the support of the American people through the United States Agency for International Development (USAID). The contents are the sole responsibility of the author and do not necessarily reflect the views of USAID or the United States Government.